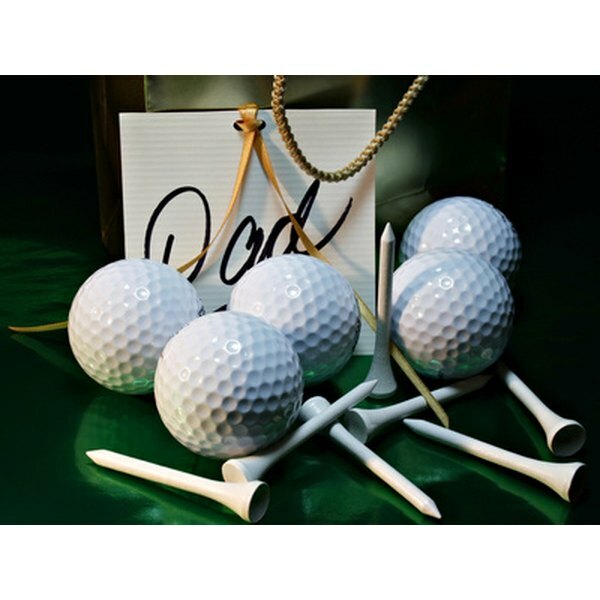 Gather dad's buddies to spend part of his birthday golfing or enjoying other sports. A birthday is always a cause for celebration, no matter how old you are. Dads often work hard throughout the year to take care of the family or provide financial support, so take the time each year to acknowledge their big day. Whether it is a huge celebration or a small get-together, he will appreciate the sentiment. Whatever theme party you decide to throw for dad, spice things up by keeping the festivities a secret. 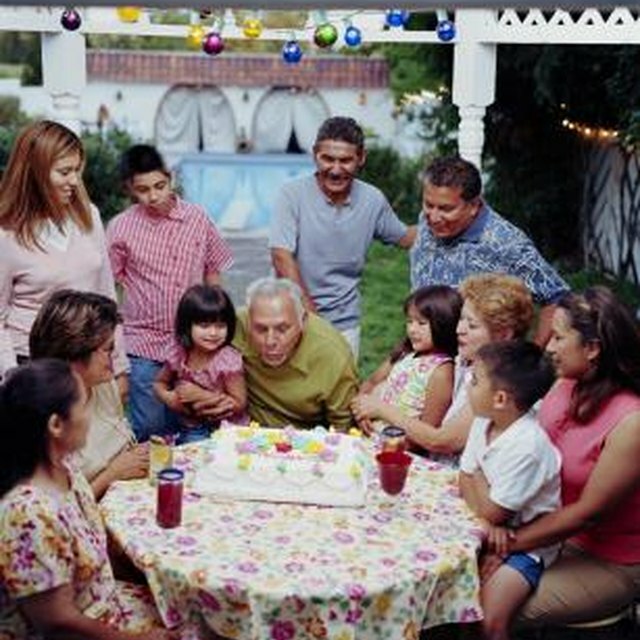 Gather family friends and relatives together for a surprise party. Remove the glass from a framed photo that includes a wide mat around the image. Place the picture of the guest of honor at the party entrance and encourage guests to write birthday wishes around his visage. This will be a great memento for the birthday boy. Throw dad a party that centers around his profession. Give an airline pilot a cake in the shape of a plane. Create party decorations with stethoscopes, doctor masks and other medical items for a doctor. Play a trivia game with guests asking questions about dad’s profession and his work career. Create a party for dad following the theme of his favorite hobby. Have a cake made in the shape of a stamp with his picture if he's a stamp collector. Decorate the party area with biking décor if dad is into motorcycles. Create trivia questions about his hobby to play as a game with guests. Arrange a get-together for dad and his guy friends to play a round of golf, attend a basketball, baseball or football game in person or watch a sporting match together on television. Dads will enjoy some time away from the hectic family life to spend with buddies. After the game, have his friends take him home or somewhere special and throw him a surprise party where the rest of the family can join in. Create a party based upon dad’s favorite movie. Decorate the room like a scene in the movie. Ask guests to dress up as movie characters. Play trivia games with guests asking questions about the movie. Give movie candy and popcorn for prizes or party favors. Throw dad a birthday bash with a DJ or band playing music popular during his childhood. Ask guests to dress up as a famous singer from the birthday boy’s heyday. Play your own version of “Name That Tune” for a party game. Give a clue about a song and see if guests can name it after hearing only a few notes. Arrange for the family to go somewhere for the day and spend time together. Visit the zoo, go bowling, explore an amusement park or relax at the beach. Take pictures so you can make a scrapbook of the photos as a memento for dad. Present dad with presents and cake when you arrive back home. Celebrate dad’s life in photos. Display pictures around the party area of dad throughout the years—from birth to high school, college and today. Place a current photo of dad next to one of him as a baby on the cake, along with some clever wording. Play trivia games with questions about dad’s life. Invite close childhood friends dad hasn’t seen for years.